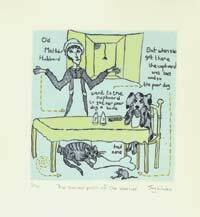 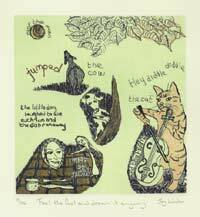 A series of four etchings which explore the archetypal meanings of popular nursery rhymes. 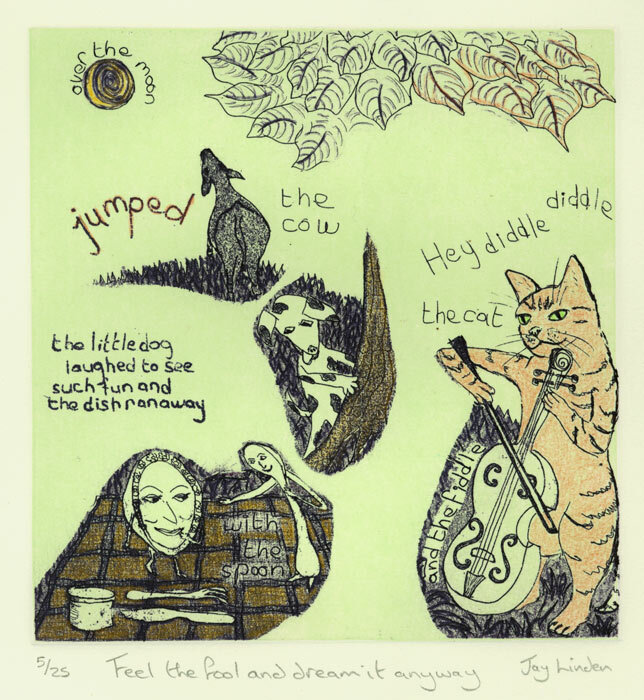 ~ Hey diddle diddle is about the fulfilment of dreams, about taking risks and daring to attempt the outrageous. 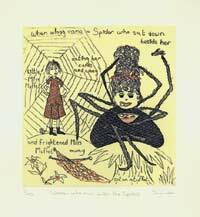 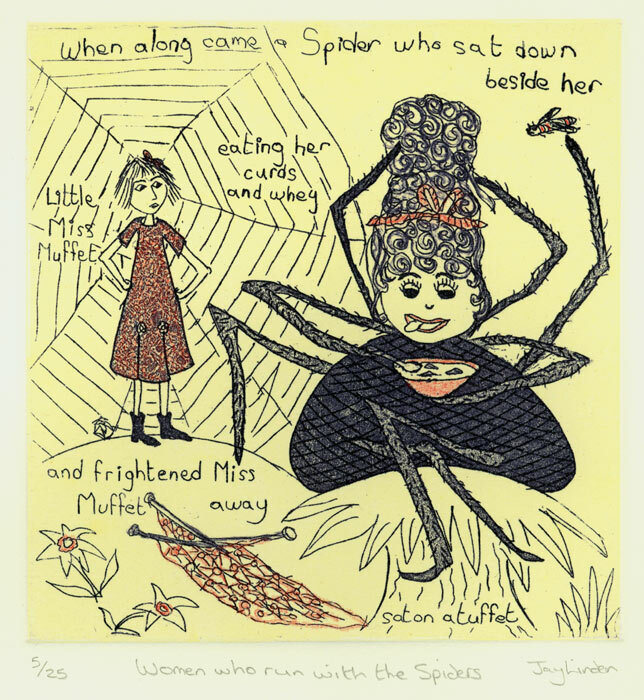 ~ In Little Miss Muffet the heroine has returned to face her fears and has the opportunity to learn from this mysterious, archaic power about how to weave a life that is nourishing to her. 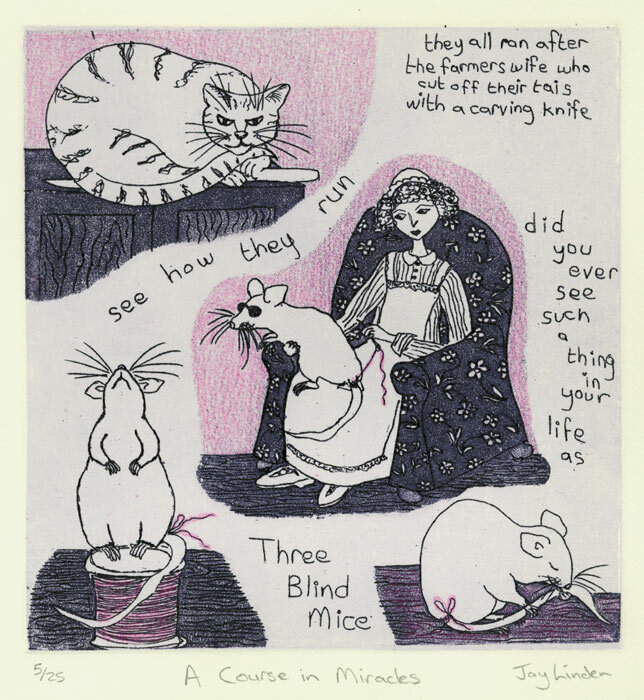 ~ In Three Blind Mice the farmer’s wife is the archetype of the self who through innocence, carelessness or fear has damaged her creation - cut off it’s tail. 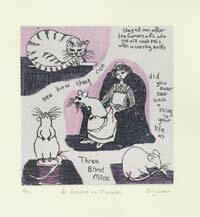 However the cat, as intuitive healer, shows that we have within us the wisdom to make good our mistakes. 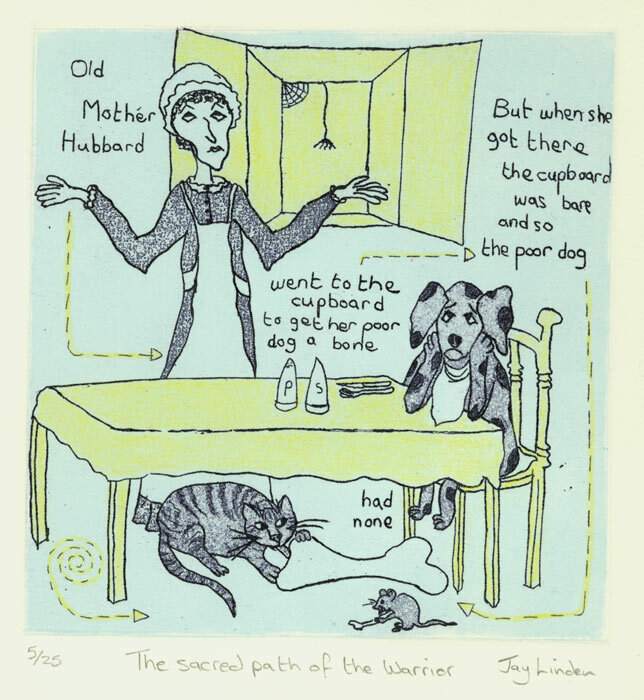 ~ Old Mother Hubbard is about walking the archetypal bridge from child to adult - and the parallel path of the sacred warrior as the soul moves from innocence to wisdom, learning to follow the signs and prompting of the higher self.